Thanks to all who responded to my question asking for help with my October sermon series. As the comments have rolled in, it’s become clear that my specificity in what I was looking for was lacking. So here are a few thoughts on the sermon series development process. 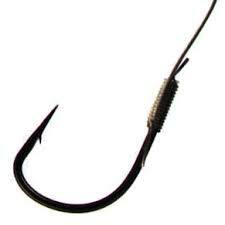 When I talk about a “hook,” I am using this in the songwriting sense. A hook is the thing that grabs someone and causes them to listen to the song again. Sometimes that’s a musical phrase and sometimes that’s some catchy wording, but in either case it is often the difference between a good song and a hit song. In developing a sermon series, I usually identify a common theme or direction that I am working toward (sometimes driven by the lectionary passages, and others based on what I discern is the driving need of the congregation). Developing the series and drawing on the texts is one thing, but creating some sort of “wrapper” for the whole thing that creates interest is something completely different. To talk about a hook in regards to a sermon series for me is to move beyond the content and think in terms of marketing the series to the congregation and the community in a way that will be both informative and may create interest in what we are talking about. A word on my process since at least one commenter gave me a hard time for not having pulled this together earlier. I usually plan our direction for worship for four to six months at a time. I know that big-time preachers like Adam Hamilton at Church of the Resurrection suggest planning a year at a time, and if I were driving a larger production process such as the one at COR, I would also likely work that far in advance. One of the luxuries of being in a smaller congregation is that we don’t require the same lead time in pulling things together. However, even though I plan in advance, I always want to be open to the guidance of the Holy Spirit and the immediate need of the congregation, and am willing to quickly rearrange as needed. In the case of the God and Politics series, two events led me to make the move to address this topic. The first was the increase in religious language used by both parties to talk about the election this year. The second was a request by one of our congregational matriarchs to place materials from Sojourners in our lobby helping folks to think about how to “Vote God’s Politics.” Given that our area is in the buckle of the “faith and politics don’t mix” belt, it seemed that we needed to talk together about the intersection of religion and politics, helping folks to recognize that our faith indeed influences how we vote, but not necessarily in the ways that reflect either party or the various voices that suggest that Christian voting must be uniform (and generally to the right of center). This seemed to make sense in the weeks leading up to election day, and so things gelled into a series. Original? Probably not, but it sets the right tone for our community. “I went down to the crossroads, fell down on my knees.” – Robert Johnson. Far too often politicians go to those crossroads for grandstanding, chest-thumping, and acting more like the publican than the pauper. And we, as voters of faith, need to ask of ourselves the exact same question. When we go to the crossroads of faith and politics let’s fall on our knees, ask for mercy and guidance, and trust that God is in the process.